Despite the genre stylings of its posters and artwork, it’s best not to think of this film as a horror. 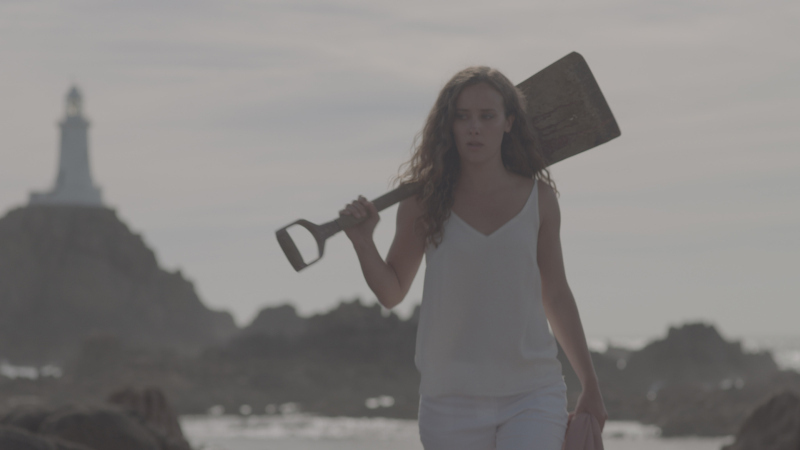 With a clever script, fully fleshed out characters and a picturesque setting that’s also quite eerie, it falls more comfortably under the label of a psychological thriller. That’s not to say there aren’t moments that will spook you, but it’s the scenes where these characters react against each other that will stay with you once the film has finished. Director and co-writer Corrie ‘Coz’ Greenlop nails the creepy vibe of his slow-burn chiller. He’s helped by a setting that’s a beautiful collection of rock pools when the tide is out, and an isolationist’s dream when the sea reclaims the causeway. 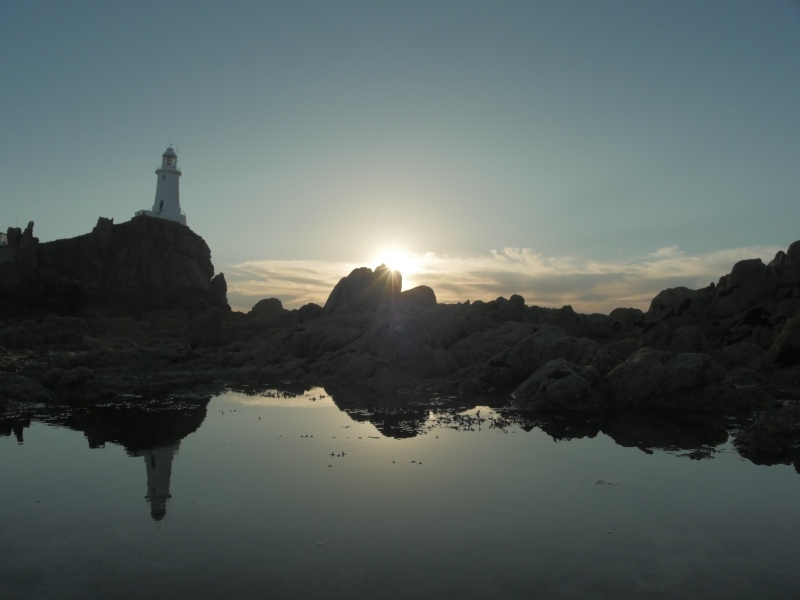 The lighthouse itself, often sitting rigidly in shot when the characters are outside it, almost becomes another character in the film. And the choice of a WWII siren to signal the coming of the tide only adds to the ominous feel. Drone shots show off the Jersey coastline in all its glory, helping to hide the low-budget nature of the film. 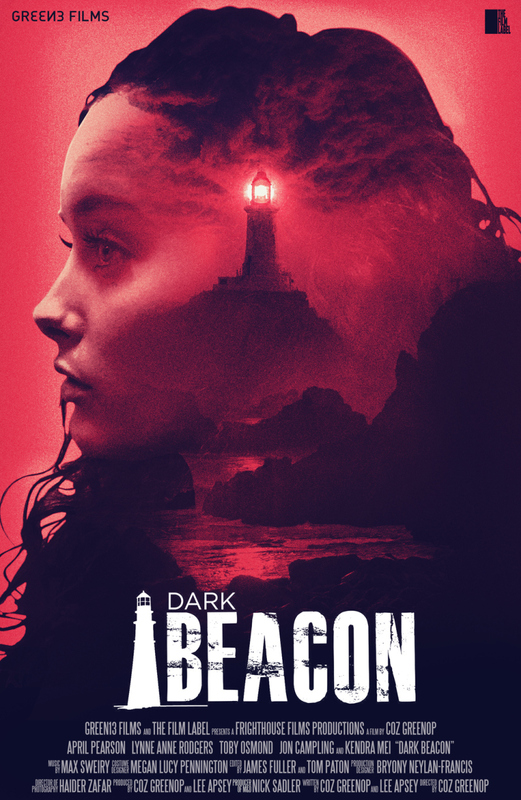 But it’s the central performances that really push Dark Beacon up a notch, as the reunion of ex-lovers Beth (Lynne Anne Rodgers) and Amy (April Pearson), following a family tragedy, doesn’t go quite as planned. Rodgers plays Beth with nervy tension and skittish habits, causing Pearson’s Amy to fear for the life of her daughter Maya (Rodgers’ real-life daughter Kendra Mei). But the character nuances go much deeper – in any other film Beth might be the bad guy, having broken up a marriage, but here she’s a saviour.